Paul de Monchaux had been sculpting for 55 years before his first solo show in 2013 at the age of 78. He was not looking for representation, but found it nonetheless when his friend, the artist Tess Jaray, introduced him to Megan Piper in 2011. At the time Piper, though only in her 20s, was preparing to open her eponymous London gallery dedicated to older artists whose careers span at least four decades—well before the promotion of older artists became a market trend. Two years later, Piper hosted the first ever display dedicated to de Monchaux's work, an ongoing series of deceptively simple works inspired by the geometry underpinning classical architecture, in her Fitzrovia space. "I was drawn to the refined, sensuous quality and quiet gravity of his work," Piper says. Though this was his first solo show, de Monchaux had taught hundreds of students. He led the sculpture and, later, the fine art department at Camberwell between 1965 and 1986 and produced many large yet understated commissions including the stone Time Benches outside Euston station (1990) and a commanding arrangement in Birmingham’s Oozells Square (1998). Since then Piper, like many, has closed the bricks and mortar gallery and now concentrates on pop-up and collaborative projects. In 2016 she took over the basement beneath the antiques dealers Harris Lindsay on Jermyn Street, where she opened a second exhibition of de Monchaux’s work. The artist, meanwhile, has pressed on with unhurried focus, turning out more pieces, each a thoughtful reinvention of the last. Now the 84-year-old celebrates another first—the publication by Ridinghouse of a dedicated monograph spanning his six-decade career. It includes texts by the Arts Council Collection’s senior curator Natalie Rudd and the head of research at the Henry Moore Foundation, Jon Wood. 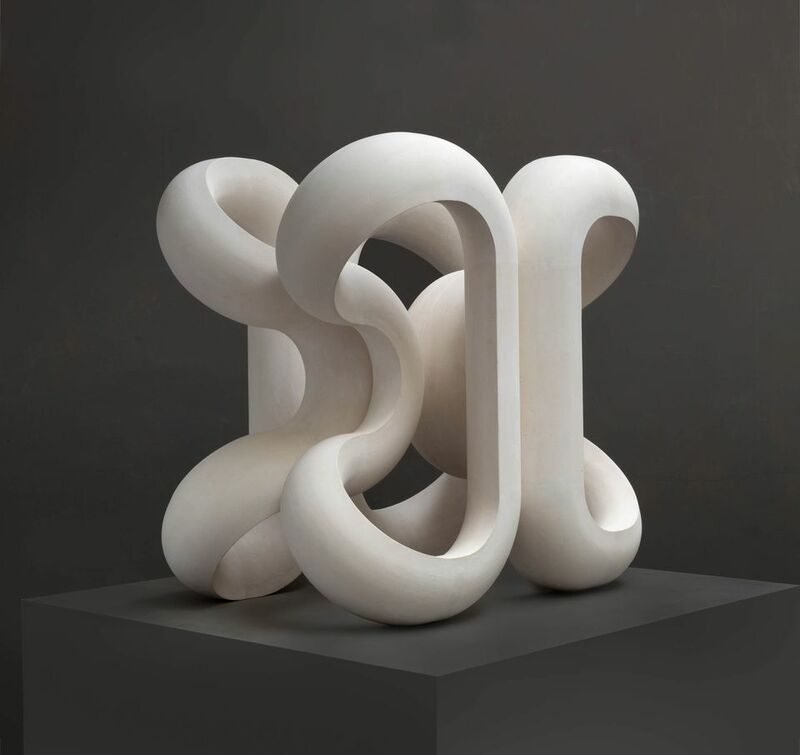 To coincide with the book’s release, Piper has teamed up with Bowman Sculpture on Duke Street in St James's, to hold an exhibition of the sculptor’s Volutes, an ongoing series of deceptively simple works inspired by the geometry underpinning classical architecture, which opened this week (until 25 January). Bowman Sculpture, a gallery known in part for Modern British sculpture, is providing the artist with sought-after window space in the heart of the St James's gallery district. "I went to university with Bill Gerrish, one of the [gallery] directors," Piper says, "and we’ve been looking for the right opportunity to work together for about 10 years." Prices range from £6,000 to £35,000.